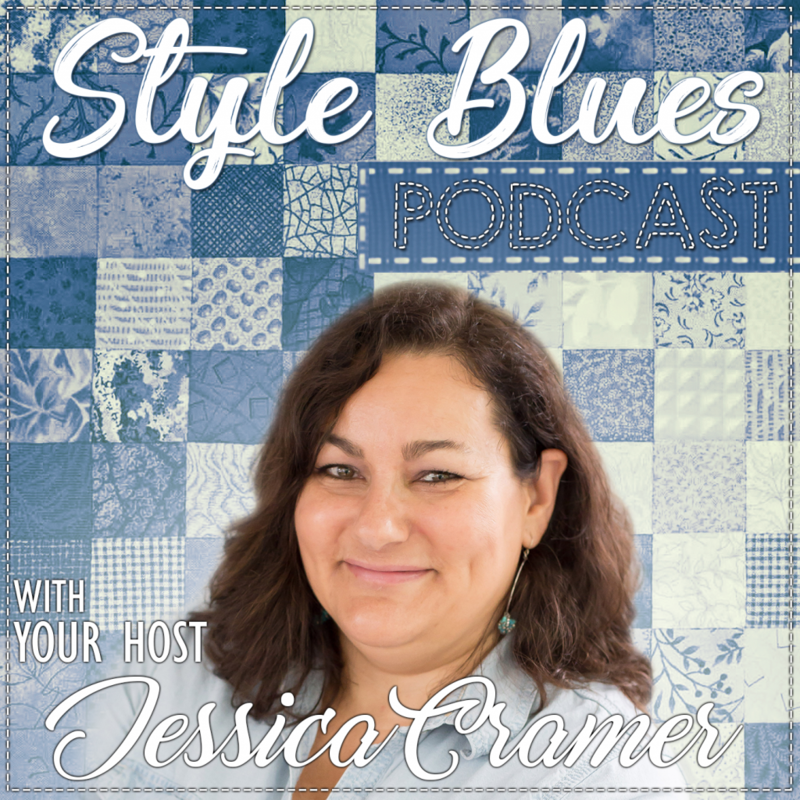 Meet Sewing Entrepreneur Emily Thompson in this week’s episode of the Style Blues Podcast! Pin and share this post with a friend! 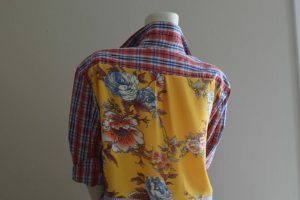 I love interviewing people with successful sewing businesses. It’s very inspirational to find out how they got started and what has made them successful. I have known Emily for several years, and it’s been fun to see how her business has grown. 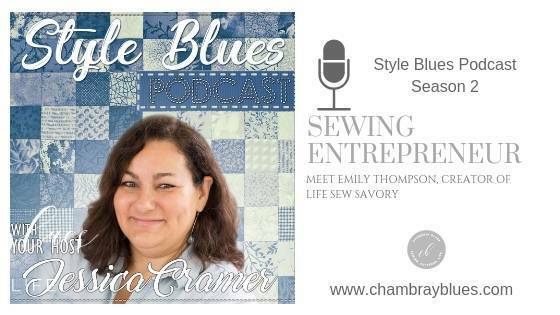 Emily Thompson is the owner and creator of Life Sew Savory. 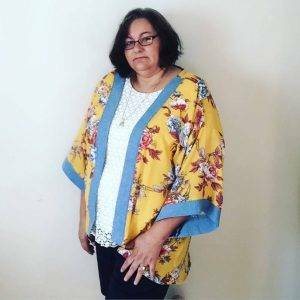 Since 2010 Life Sew Savory has been bringing you sewing inspiration, recipes and free pdf patterns to make sewing fun. In addition to running her website, Emily also loves hanging out with her three kids and husband, enjoying biking, hiking, swimming and traveling. She loves to exercise, read and have coffee with friends when she has time. 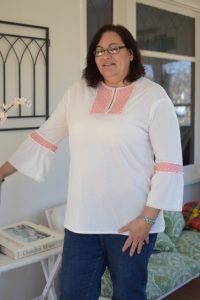 Emily had been featured on the PBS Television show It’s So Easy, and has her own weekly sewing Facebook Live show @Lifesewsavory every Wednesday at 3pm EST. 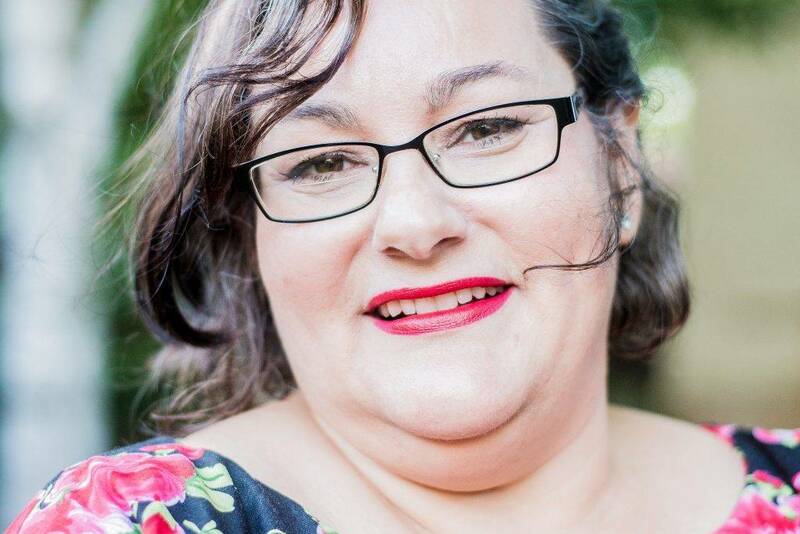 Emily creates a lot of her own knitwear patterns for women and children, and is a brand ambassador for Brother Sewing Machines. 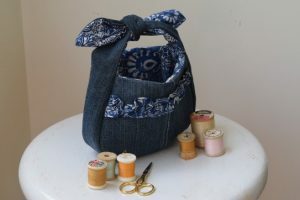 What made you want to learn to sew? 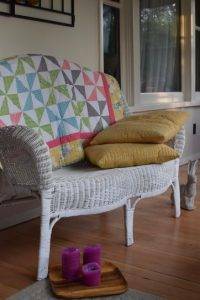 How did you learn to make your own patterns? Do you draft? Drape? Design in Adobe Illustrator? Which patterns have been your most successful? 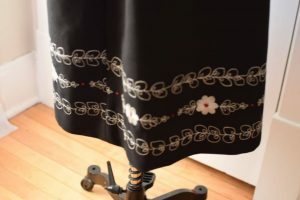 What patterns would you recommend for beginner sewers? Where do you get your fabric from? Sincerely Riley.com where you can purchase boxes of knit fabrics such as sweater knits for $3-4.00 per yard. What’s in the future for your sewing business?